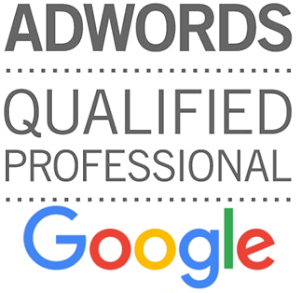 If you have a significant Google AdWords account then checking it on a regular basis to ensure that it’s performing at it’s optimum can be a drain on resources; I've previously spend days at a time ensuring that all keywords, ads ad landing pages are performing well together for particular AdGroups that contain thousands of keywords. Whilst it works as an approach, it is very time consuming, and we don't always have the time to do a thorough check (although you should try to do one at least once a month). If you want to spend less time working on your AdWords campaigns, but you also want to spend your time constructively, my advice would be to focus on the important elements of your campaigns. Each week download a full list of your keywords - just click on the Keywords tab from Campaigns, then click on the Download Report icon). Ensure you are just viewing data for the Last 7 days. This will provide you with a complete list of your keywords with all the relevant data you will need to check how your keywords and ads are doing. Once downloaded, open the report in Excel (or your favourite Spreadsheet application). Sort the data by CTR (Descending) then by Conversions. What you are looking for here are keywords with a high click through rate but low or no conversions. Note: You’ll need to make a judgement call on what you think are high and low values for your industry/site – but it should be clear that if a keyword has received a 50%+ CTR but no conversions, then something is wrong! First of all check your ad(s) to ensure that they are clear on the benefits that your prospect will get, tweak the ad(s) if need to be ensure that they are crystal clear. Remember you can always have more than one ad, so if you want to make a change add a new one so you can check later which one had the best results. Next check the landing page, are the goals clear? Is the benefit that you have suggested on the ad(s) clearly visible? Is the call to action nice and clear? Next check your keywords that have a low CTR. Your ads here just aren't working for you. Look to see how they can be reworded to make them more appealing, are you clearly getting across your core benefit? Make sure your budget isn't running out too quickly. Low impressions are usually down to either low budget, low bids. Consider adding more relevant keywords to help trigger your ads, slightly increase your keyword bids. These are the absolute basic checks that you need to make every week, keeping up with these will ensure that your campaigns are in good working order.